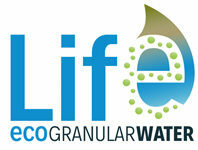 The LIFE ECOGRANULARWATER Project is a “Drinking water” project approved within the “Environment and Resource Efficiency” focus area of the 2016 Call of the LIFE Programme. 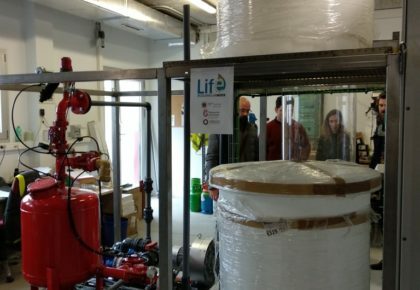 It aims to demonstrate the efficiency of technology based on biological methods for the removal of nitrates, phosphates, pesticides and other pollutants from groundwater supplies for human consumption. The project proposes a low-cost technology solution for municipalities affected by this environmental problem. 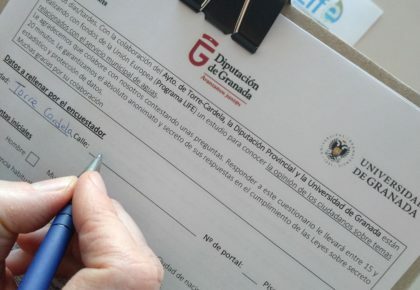 The project will be implemented by a partnership integrated by the University of Granada (Spain), Aalto University (Finland), Construcciones Otero Company (Spain) and the Provincial Council of Granada (Spain), which acts as partnership coordinator. 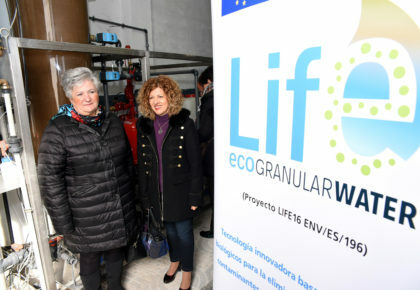 The proposed technology will be installed in the municipality of Torre Cardela (Granada province), where high levels of nitrate concentration have been detected in the groundwater supply. At current, a reverse osmosis system is being used in compliance with the RD 140/2003, which establishes the health criteria for the quality of water used for human consumption, as well as Drinking Water Directive 98/83/UE and Directive 2013/39/UE, (amending Directives 2000/60/UE, Water Framework Directive, and 2008/15/UE priority substances in water policy). 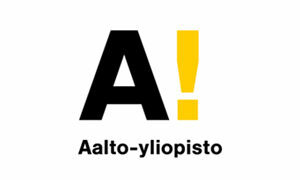 The project will be developed between the 1st of September 2017 and the 31st of October 2020. 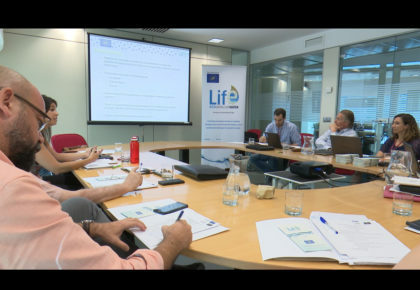 You can now enjoy the LIFE ECOGRANULARWATER Project Video Presentation in which the academic, business and institutional partners of the Project present the Technology and application that the Project pursues. 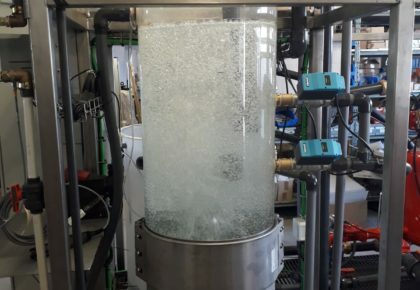 The first phase of the water purification pilot plant with biological methods has been constructed at the Construcciones Otero’s facilities. 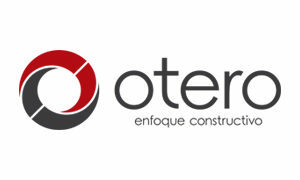 In the following weeks, it is expected to be installed in Torre Cardela. *Al enviar la suscripción, estoy aceptando la POLÍTICA DE PRIVACIDAD.